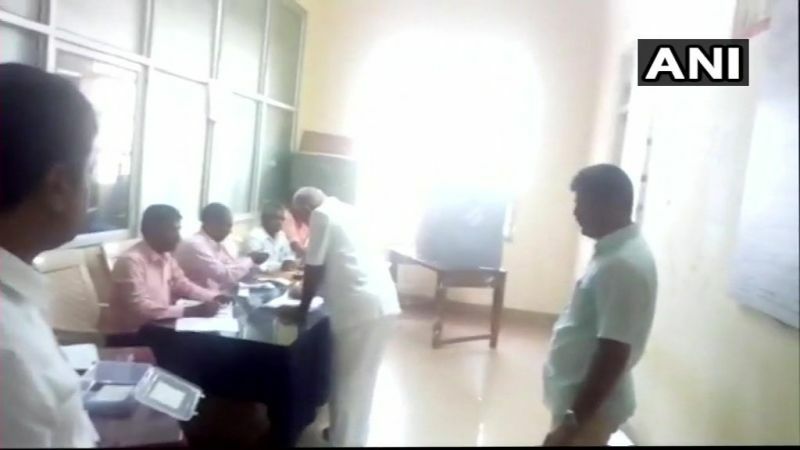 Bengaluru: By-poll for three Lok Sabha and two assembly seats are underway in Karnataka today. Voting began at 7 am. Today’s by-poll will test the Congress-JDS coalition in Karnataka. Congress and JDS have fielded joint candidates in all the seats. The JDS will be contesting the Mandya and Shivamogga Lok Sabha seats and the Ramanagara assembly constituency and the Congress has put up candidates in the Lok Sabha seat in Ballari and assembly seat in Jamkhandi. 10:27 am: Anand Nyamagouda, Congress candidate from legislative assembly constituency of Jamkhandi casts his vote at polling booth number 125. 9:58 am: A snake being removed from polling booth 179 in Mottedoddi of Ramanagaram. The voting was delayed after it was spotted and resumed soon after it was removed. 9:55 am: People queue up outside booth no. 50 in Hirepadasalgi village of Jamkhandi to cast their franchise. 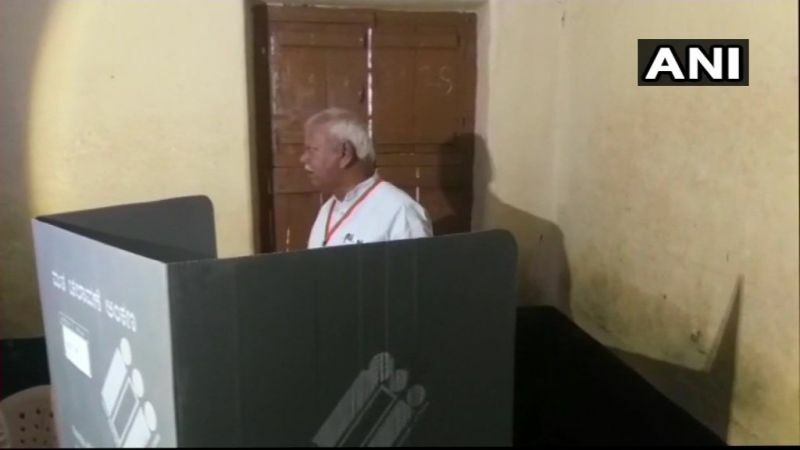 08:02 am: BJP candidate Srikant Kulkarni casts his vote at booth no. 150 in Hirepadasalgi village of Jamkhandi. 08:01 am: Former Karnataka chief minister BS Yeddyurappa casts his vote at a polling booth in ward no 132 at Shikaripura in Shimoga. 07:59 am: “101 per cent my son (BS Raghavendra) is going to win the Shimoga seat. We are also going to win Bellary and Jamkhandi. We will get absolute majority in all the constituencies,” former Karnataka chief minister BS Yeddyurappa said. 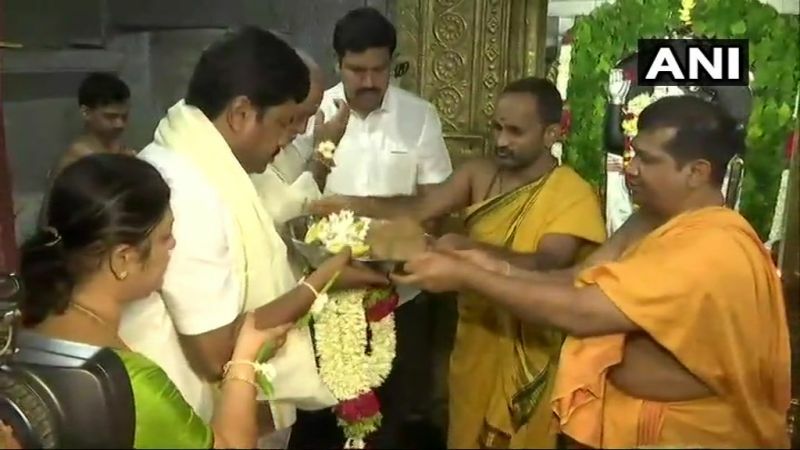 07:55 am: Former Karnataka chief minister BS Yeddyurappa and his son BS Raghavendra visit Hucharaya Swamy Temple in Shimoga. BS Raghavendra is contesting from parliamentary constituency of Shimoga. 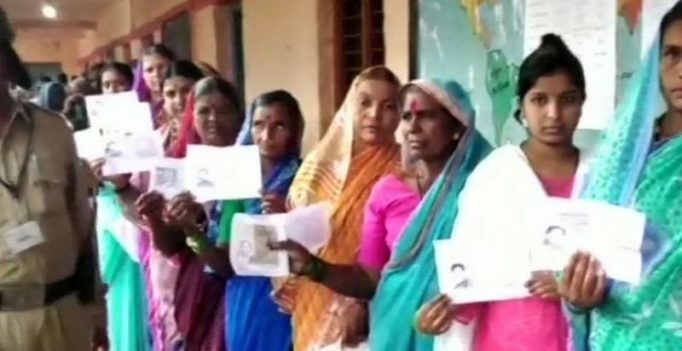 7:50 am: Voting for – Mandya, Shivamogga, Ballari Lok Sabha constituencies, and Ramanagara, Jamkhandi Assembly constituencies, begins. Wife of Karnataka Chief Minister HD Kumaraswamy, Anitha Kumaraswamy, has been given a virtual walkover as the BJP candidate L Chandrashekhar quit the party to join the Congress just two days before the crucial polling. BJP has fielded BS Yeddyurappa’s son BY Raghavendra, the JDS has nominated Madhu Bangarappa, the son of former chief minister S Bangarappa. JDU fielded Mahima Patel, son of former chief minister JH Patel. Shantha, the sister of BJP leader B Sreeramulu, is in the fray with her main opponent, VS Ugrappa of the Congress. JDS has fielded LR Shivarame Gowda, who will be up against BJP candidate Siddaramaiah. 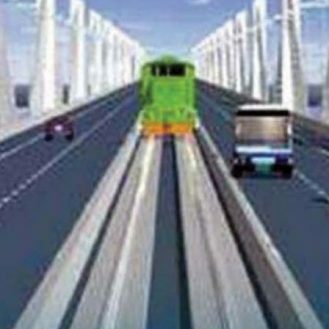 The Congress has fielded Anand Nyamagouda, son of senior leader Siddu Nyamagouda. He is contesting agianst BJP’s Srikant Kulkarni.